On this date the 24th of June in 1929, our father, Floyd Dee‘s half brother, Bobby J. Adams was born in Oklahoma to parents Floyd Brazier (Papaw) Adams and Johnny Adams. He was the first born of our Papaw Adams from his first marriage. Bobby grew up in Drumwright, Oklahoma with his mother Johnny, but kept in touch with his Louisiana siblings over the years. 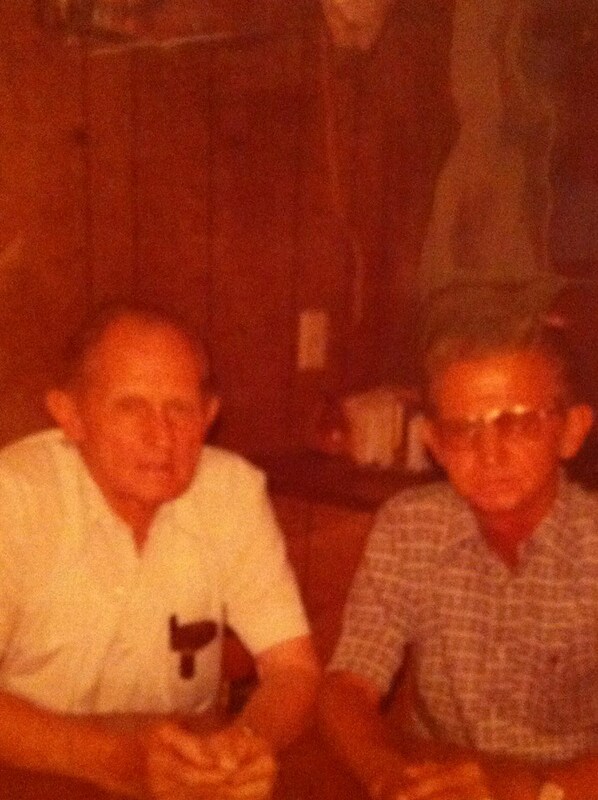 It’s amazing how much our Papaw Adams and Uncle Bob look alike. *Source: (c) FamilySearch.org “United States Census, 1940,” database with images, FamilySearch (https://familysearch.org/ark:/61903/1:1:VBKK-J55 : accessed 17 September 2015), Bobby J Adams in household of Floyd Adams, Lincoln Township, Seminole, Oklahoma, United States; citing enumeration district (ED) 67-23, sheet 5B, family 87, NARA digital publication T627 (Washington, D.C.: National Archives and Records Administration, 2012), roll 3331.